IBBC returns to Dubai on 25 November with a full agenda of expert speakers to discuss the most important issues*facing Iraq’s economy. Baroness Nicholson of Winterbourne, President of IBBC and The Prime Minister’s Trade Envoy to Iraq, Azerbaijan, Turkmenistan & Kazakhstan*will open the conference, alongside H.E. Mr Abdullah Ahmed Al Saleh, Undersecretary of the UAE Ministry of Economy for Foreign Trade & Industry, H.E. Mr Bangen*Abdullah Rekani, Iraq’s*Minister for Housing, Reconstruction & Public Municipalities,*Dr Mehdi Al Alak, Secretary General of the Council of Ministers, Michael Townshend the Regional President of BP Middle East and Jon Wilks CMG Her Majesty’s Ambassador to Iraq. A delegation of high-profile Iraqi Governmental Officials will be in attendance including Dr Hamid Ahmed, Deputy Chairman of the Prime Minister’s Advisory Committee (PMAC), Dr Sabah Mushatat, Investment and Reconstruction Advisor of the Prime Minister, Mr Louay Al-Yassiri, Governor of Najaf, Mr Nawjad Hadi, Governor of Erbil, Dr Wijdan Salim, PMAC and Mr Abas Imran, Technical DG, Ministry of Transport. Delegates will have the opportunity to engage with the speakers in dynamic and concentrated debates during Roundtable Discussions. Further Iraqi officials are expected to confirm their attendance in the coming weeks. Other confirmed speakers include Christopher M. Cantelmi, Principal – Infrastructure & Natural Resources – International Finance Corporation (World Bank) and Kareem K. Ismail, Resident Representative for Iraq and Yemen, International Monetary Fund (IMF). Additional expert speakers are drawn from the Department of International Trade, Shell, Rolls-Royce, Siemens, Serco, SKA International Group, Basrah Gateway Terminal, Khudairi Group, G4S, National Bank of Iraq, Management Partners, EY, AFC Iraq Fund, Chevron, Wood and more. A Pre-conference Reception and Networking Event is planned for Saturday 24 November at the Address Dubai Marina, where delegates can*enjoy the spectacular surroundings and view. 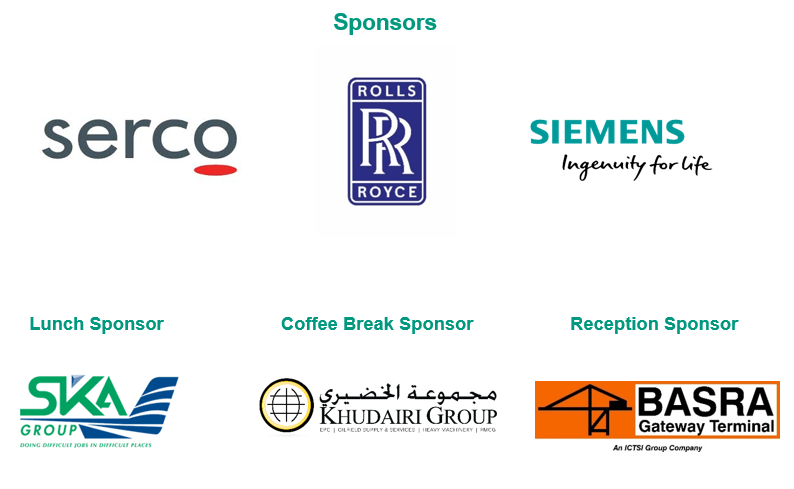 *With Dubai being a hub for local and international companies in the region operating in Iraq, the conference attracts suppliers, investors, producers and buyers from Iraq, the UK and the wider international business community. IBBC will also be holding a*Tech Forum*on 25 November, which will run in parallel*to the conference at the same venue. Ticket holders will get complimentary access to the forum, where some of the key innovators*of Tech in Iraq will be speaking on Fintech, the Consumer Economy, E-Government and the Start-Up Economy. Speakers include*representatives from EY,*Citi Bank, Restrata Group, MediaWorld, Khudairi Group, Avaya and the Technology Department of the Kurdistan Regional Government.